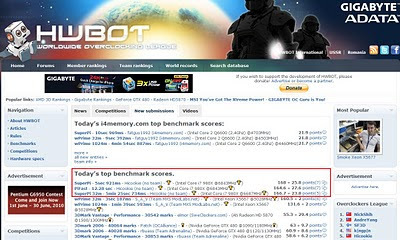 GIGABYTE Tech Daily: hicookie smashes 2D records with X58A-UD9, wow! Hicookie smashed the current 2D world records using a GIGABYTE X58-UD9 with an incredible set of scores today. I've seen some crazy scores in the past but these literally left me speechless. Have a look at this ladies and gentlemen! X58A-UD9 is in a league of its own and hicookie is just warming up too. My God!! !